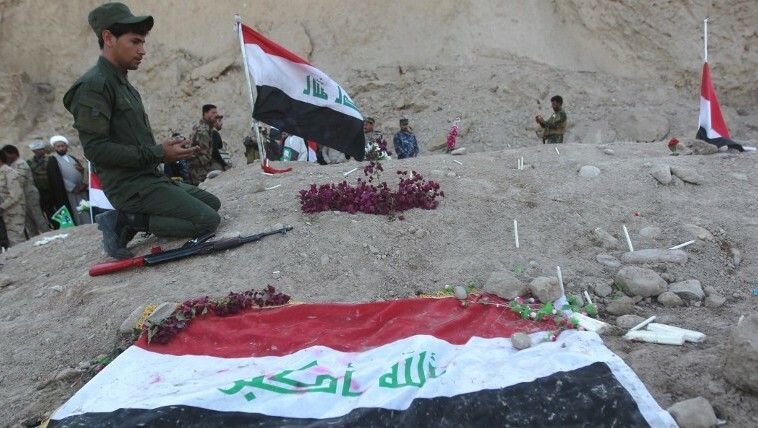 BAGHDAD (AP) — Iraqi forensic teams in the newly liberated city of Tikrit have started exhuming bodies from mass graves believed to contain hundreds of soldiers killed by Islamic State militants last year, a government spokesman said on Tuesday. Around 1,700 soldiers were captured by the extremists in June as they were trying to flee Camp Speicher, an air base on the outskirt of Tikrit that previously served as a US military facility, following an onslaught that stunned security forces and the military, which melted away as the militants advanced and captured key cities and towns in the country’s north and west. 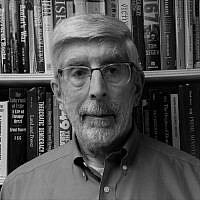 Then, the extremist group posted graphic photos that appeared to show its gunmen massacring scores of the soldiers after loading the captives onto flatbed trucks and then forcing them to lay face-down in a shallow ditch, their arms tied behind their backs. Other videos showed masked gunmen bringing the soldiers to a bloodstained concrete river waterfront inside the presidential palaces complex, shooting them on head and throwing them into The Tigris. A few days after recapturing the city by Iraqi security forces and allied Sunni and Shiite fighters, the government teams started Monday opening up eight locations inside the complex where much of the killing believed to take place, the spokesman of Iraq’s Human Rights Ministry, Kamil Amin, told The Associated Press. Amin added that at least 12 dead bodies were exhumed on Monday. He added that DNA samples were already taken from around 85 percent of the victims’ families and lab test will be undergone shortly on the bodies. Iraqi state TV showed number of masked men digging in an open area helped by bulldozers as family members standing nearby. Number of yellow tags were put on the remains by forensic teams next to flowers and candles lit by weeping troops and relatives. The June onslaught by the Islamic State group has thrown Iraq into its worst crisis since the 2011 US troops withdrawal. 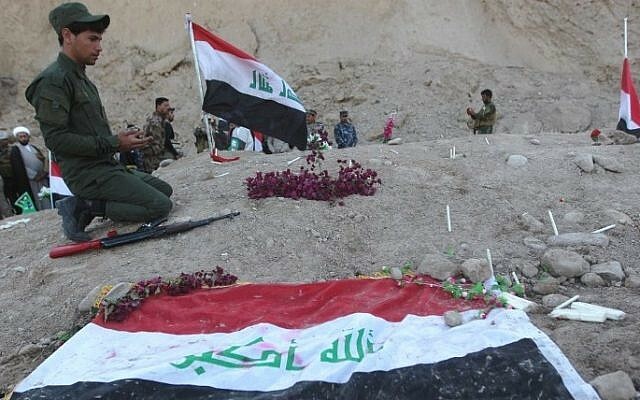 The militants also targeted Iraq’s indigenous religious minorities, including Christians and followers of the ancient Yazidi faith, forcing tens of thousands from their homes. Since then, the Islamic State group has carved out a self-styled caliphate in the large area straddling the Iraqi-Syrian border that it now controls. In early August, the United States launched airstrikes on the militant group in Iraq, in an effort to help Iraqi forces fight back against the growing militant threat. Still in the hand of the militants are the northern province of Ninevah and most of the western province of Anbar in addition to small areas north of Baghdad.